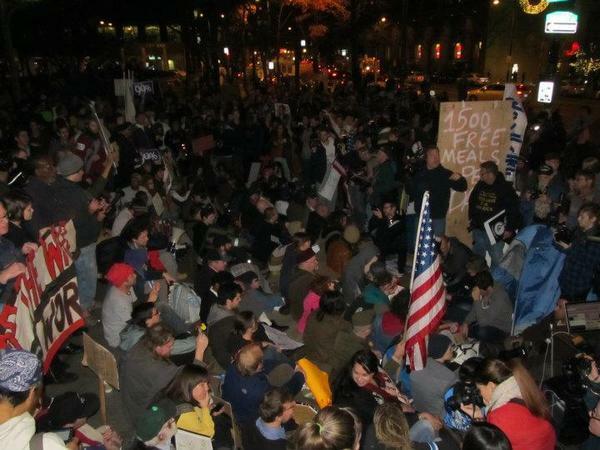 Though ordered by the city to leave yesterday and threatened with arrest, Occupy Philly remains peacefully assembled. For background on the situation in Philly, see our earlier post. 10:54pm EST: Still there, still peaceful, still no arrests. 7:15pm EST: Still at Dilworth! General Assembly underway. 6:53pm EST: Police presence reported to be thinning. 5:43pm EST: Police are blocking off public park. Occupy Philly still urging supporters to gather, bring cameras! 4:40pm EST: More police are reported seen massing near the plaza, but have not yet made any attempt to evict. Occupy Philly is still holding strong at Dilworth, planning to hold General Assembly! 12:58pm EST: Occupy Philly will be gathering at 4pm today at Dilworth Plaza**, not at Rittenhouse Square. Please come out and support us as we make plans for the future of our movement in Philly. 12:32pm EST: According to Twitter report, power has been shut off at Occupy Philly this morning. 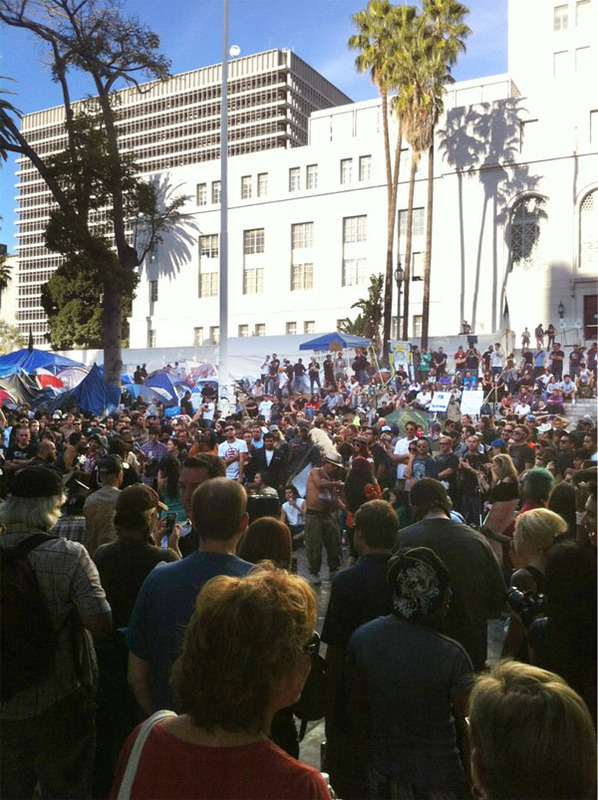 Yesterday we reported about the planned eviction of Occupy Los Angeles. Occupiers have refused to leave and the police are currently enclosing. Thousands have arrived to defend Solidarity Park, forming human chains.